An exceptionally brilliant 17-year-old Nigerian girl, Serena Omo-Lamai, has been granted admission to study in 13 universities in America and Canada. Omo-Lamai, who graduated from Dowen College, Lekki, Lagos, last year, have opted for Syracuse University, United States, to study Bio-Medical Engineering. Some of the universities where she was offered admission include Emory University, Georgia Institute of Technology, New York University, among others. Speaking in a telephone interview with Punch, Omo-Lamai said she settled for Syracuse University because of the institution’s world-class research laboratory and a $51,000 scholarship offer. The teenager, who aspires to be a medical engineer, said she would study medicine as second degree. “I feel very honoured and I feel it is an opportunity to work harder. I know that I have to justify the offer. I chose Syracuse University because it has a very good research lab and the offer came with $51,000 scholarship. I have always loved Biology, Chemistry, Physics and Geography. “My hope is to study medicine for a second degree, but I would love to be a medical engineer. Most of the medical equipment in the country are imported and I would like a situation where medical equipment is manufactured here in Nigeria. “My parents are my role models, but I am also inspired by anyone who is hard working, anyone who puts so much efforts into what they do,” she said. A statement from the Vice-Principal, Dowen College, Mr. Muraina Olusesi, on Monday, said Omo-Lamai was the valedictorian of the school last year. He said, “Alumni students of the school have continued to show the stuff they are made of in the world of academic excellence. 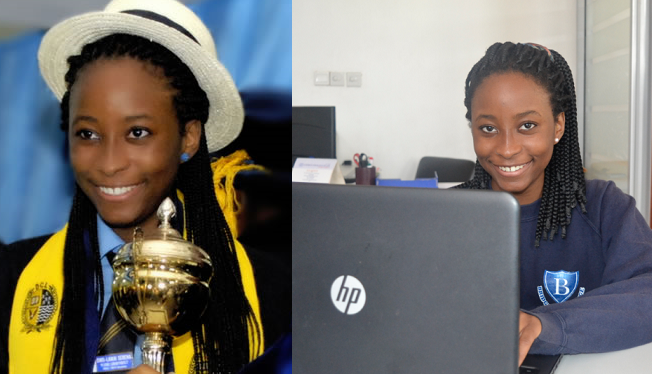 Serena Omo-Lamai was our best graduating pupil in the 2014/2015 academic session and she has done it again.